kebriaeezadeh, A., Zartab, S., Fatemi, S., Radmanesh, R. (2013). Fundamentals and Stock Return in Pharmaceutical Companies: a Panel Data Model of Iranian Industry. Iranian Journal of Pharmaceutical Sciences, 9(1), 55-60.
abbas kebriaeezadeh; Saman Zartab; S.Farshad Fatemi; Ramin Radmanesh. "Fundamentals and Stock Return in Pharmaceutical Companies: a Panel Data Model of Iranian Industry". 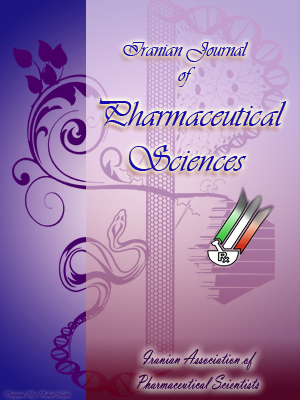 Iranian Journal of Pharmaceutical Sciences, 9, 1, 2013, 55-60.
kebriaeezadeh, A., Zartab, S., Fatemi, S., Radmanesh, R. (2013). 'Fundamentals and Stock Return in Pharmaceutical Companies: a Panel Data Model of Iranian Industry', Iranian Journal of Pharmaceutical Sciences, 9(1), pp. 55-60.
kebriaeezadeh, A., Zartab, S., Fatemi, S., Radmanesh, R. Fundamentals and Stock Return in Pharmaceutical Companies: a Panel Data Model of Iranian Industry. Iranian Journal of Pharmaceutical Sciences, 2013; 9(1): 55-60. Stock return is usually considered to be affected by firm’s financial ratios as well as economic variables. Fundamental method assume that stock returns is not solely related to the stock market. Most result come from the company condition , industry situation and whole economy. In this paper, this relationship between stock return and fundamentals is studied using the data for 22 pharmaceutical companies in Tehran Stock Exchange over a 7 year period, and effective factors on stock return are investigated. Because of our data natural we used panel data model from econometric methods. The results show that 80 percent of change in stock return can be explained with 9 fundamental variables factors including debt-equity ratio, working capital to total asset, current ratio, net profit margin, operating cycle, market share, inflation rate of medicinal products prices, total asset, and exchange rate have significant effect on stock return. This factors can be used in decision making in pharmaceutical industry.